RebelMouse is a creative agency that specializes in content marketing and social media management. Through its publishing platform, the company provides tools that content creators need to increase their websites’ organic traffic and strengthen their monetization strategies. In this article, we cover user reviews and pricing. Ready to get started with RebelMouse? Request a proposal. Users who gave RebelMouse a positive review appreciate that a user’s subscription package is customized to reflect their client’s unique branding requirements. Others mentioned that their social media management feature is both easy to understand and use. One user who gave RebelMouse a positive review on G2 Crowd said that embedding widgets onto his WordPress site has become easier, adding that the app has made creating and sharing content faster and seamless. He also likes that it has built-in styles and templates for his content curation needs. Users who gave RebelMouse a negative review dislike its high price, noting that it has plenty of features that they do not really need. Some complained that the initial setup process is confusing and said that their website does not provide a detailed explanation of their services and pricing. One user who gave RebelMouse a negative review on G2 Crowd said that he didn’t find helpful information on how to set up the app on their website, though he added that the customer support team was very patient with his questions. He suggested that businesses should have one or two persons learn the ins and outs of the platform first before rolling it out to the rest of their team. RebelMouse price starts at $5,000 per month. Pricing depends on customers’ current content resources, as well as their monetization and traffic growth needs. 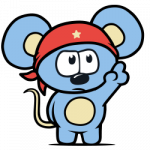 Ready to get started with RebelMouse? Request a proposal. 10 Best Social Media Management Tools for Small Businesses 2018 — Social media management tools make it easier for users to schedule posts, manage conversations, and analyze results. In this guide, we identified 10 of the best social media management software in terms of purpose, price, and unique value. What can RebelMouse do for a business? RebelMouse offers a range of services that work to boost organic website traffic and strengthen monetization strategies for their clients. These services include social media management, SEO content strategy, website re-platforming and redesigning, monetization tactics, and more. What is Social UX for Media? Social UX for Media is a feature that makes distributing content across different social media platforms faster and easier. Its goal is to make readers feel comfortable while interacting with content in order to reduce bounce rates and increase the time spent on the site, the number of pages per session, and the number of social shares. Not sure if RebelMouse is the right fit for you? Read our reviews of all top social media management software or check out one of these three RebelMouse competitors.